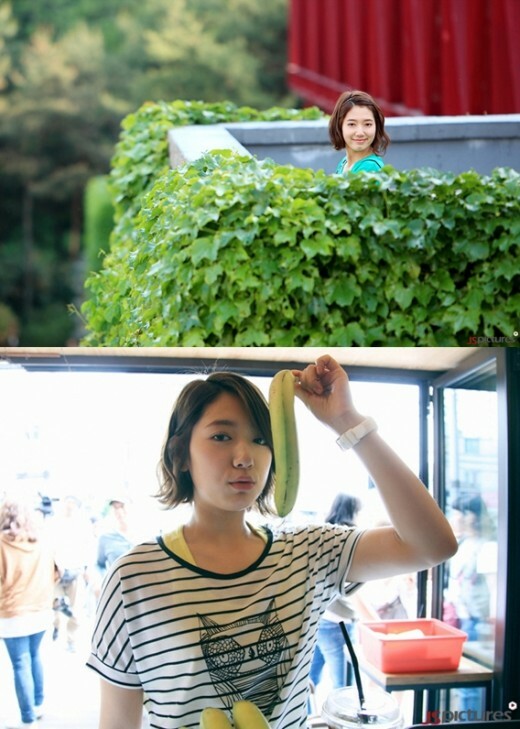 Park Shin Hye reveals her daily life photos on set of Heartstrings. 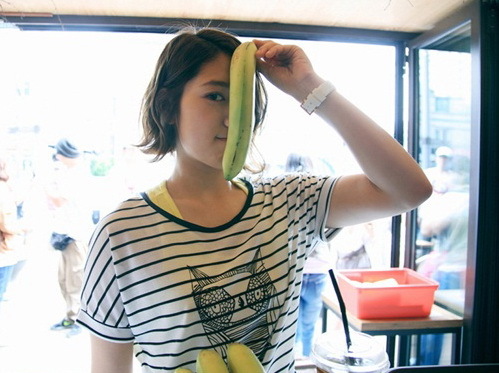 The actress, who stars as gayageum prodigy Lee Kyu Won in MBC's upcoming drama "Heartstrings", is captured monkeying on set. In the photos revealed by JS Pictures, Park Shin hye has transformed into an adorable 'banana girl' posing with cute and hilarious expressions. Her beautiful white skin, twinkling eyes and fresh image portray her as an 'innocently lovely weapon'. On set, Park Shin Hye is described by the cast and crew to display 200% of 'Park Shin Hye's daily life adorable silliness', creating a happy and friendly atmosphere on set. In response to this, Park Shin Hye said: "Our drama takes place at an university with a lot of college students. It is nice being around people my age. The director(Pyo Min Soo), cast members and crew are all so warm and caring. I will do my best to improve my acting skills as to create a good portrayal of my character. I hope that viewers will enjoy and support our drama." 'Heartstrings' is a story about young love, friendships and dreams. It is a melodrama that can be enjoyed by viewers of all age. It also boasts a young and energetic cast and stars Jung Yonghwa, Park Shin Hye, Kang Minhyuk, Song Chang Ui, Woori and So Yi Hyun. The 1st episode is scheduled to air on Wednesday, June 29th at 9:55pm. Check out the teaser video released by MBC starring Shin Hye & Yonghwa below!! such an adorable girl we got here!1 more week b4 hayate and a week after for HS!shin hye overloads for summer!Godbless Hacci! You're cute beautiful kind. Do your best! Fighting! !